Mounting ShockWiz to your Bike | Rent a ShockWiz - ShockWiz Rentals! Nationwide and Bay Area! 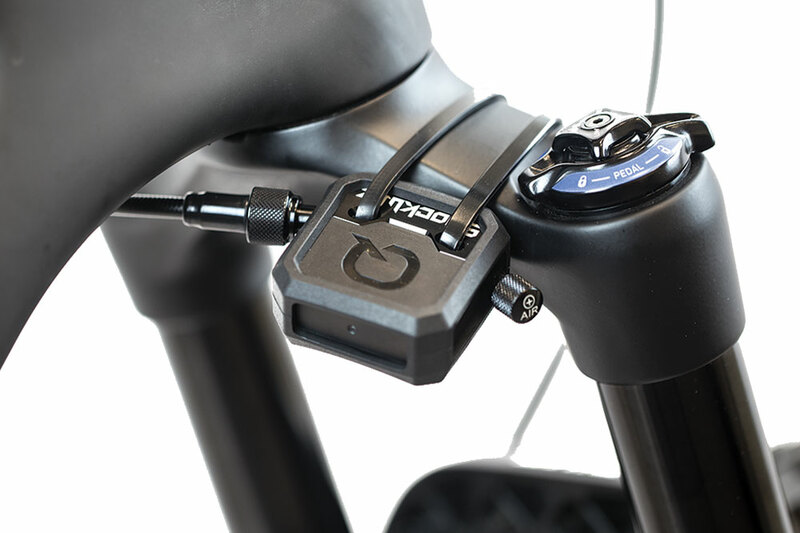 In general, mounting ShockWiz to your fork or rear shock is pretty straightforward and you won't run into any problems with routing the hoses or attaching the zip ties. 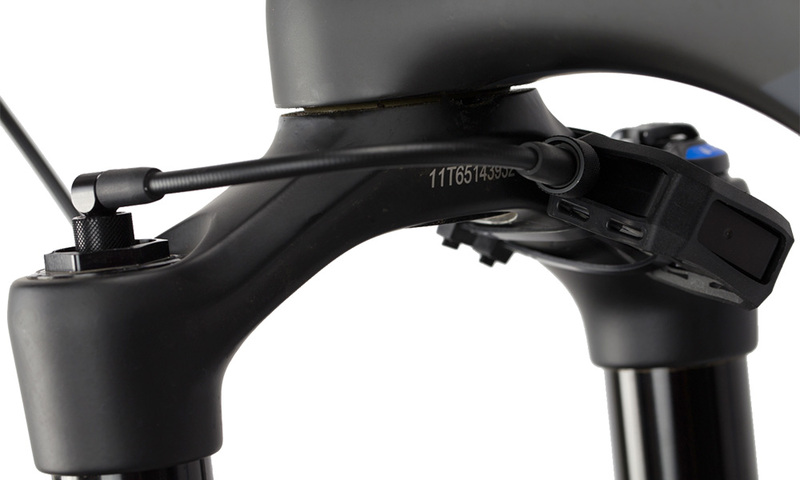 SRAM suggests mounting ShockWiz to the fork by using the long hose attached to the Air spring side, then running the hose around the rear of the fork and attaching ShockWiz to the other side of the fork crown using the supplied zip ties. You can attach zip ties directly through the ShockWiz body as shown, or the holes in the outer rubber cover. Once mounted, rotate your bars to make sure the hose is not interfering with your frame and adjust the position if necessary. For rear shocks, the basic mounting suggestion is to use the shorter hose, and mount ShockWiz to the air can, using the rubber cover's rear holes for the zip ties. Tip: If needed, you can remove the cover and reorient it for better positioning. You can also use either air valve to attach to the hose; each valve is slightly offset differently to allow to for better positioning. Things can get tricky when mounting ShockWiz to some rear shocks due to their design, or the frame's linkage and/or design. This is especially true for frames such as Evil's line of bikes (Following, Calling, etc.) due to their frame design. For these bikes, it is not be possible to mount ShockWiz as intended, so some creative solutions have been found. 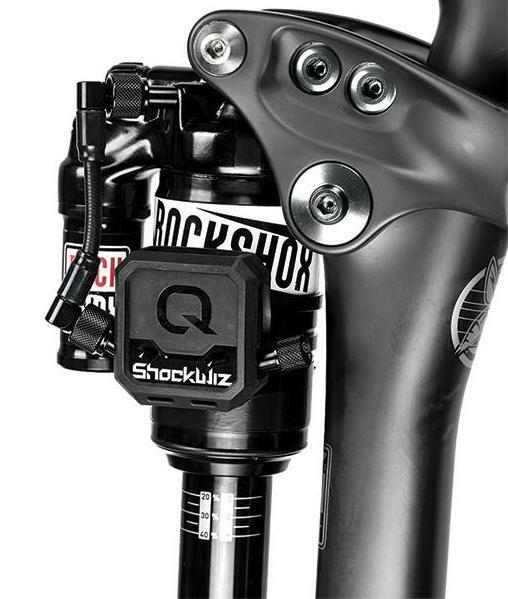 Most importantly, ShockWiz should be mounted in such a way that does not come into contact with any parts of the frame or components during full shock compression, nor should it be mounted in such a way that the hose moves with the shock compression. 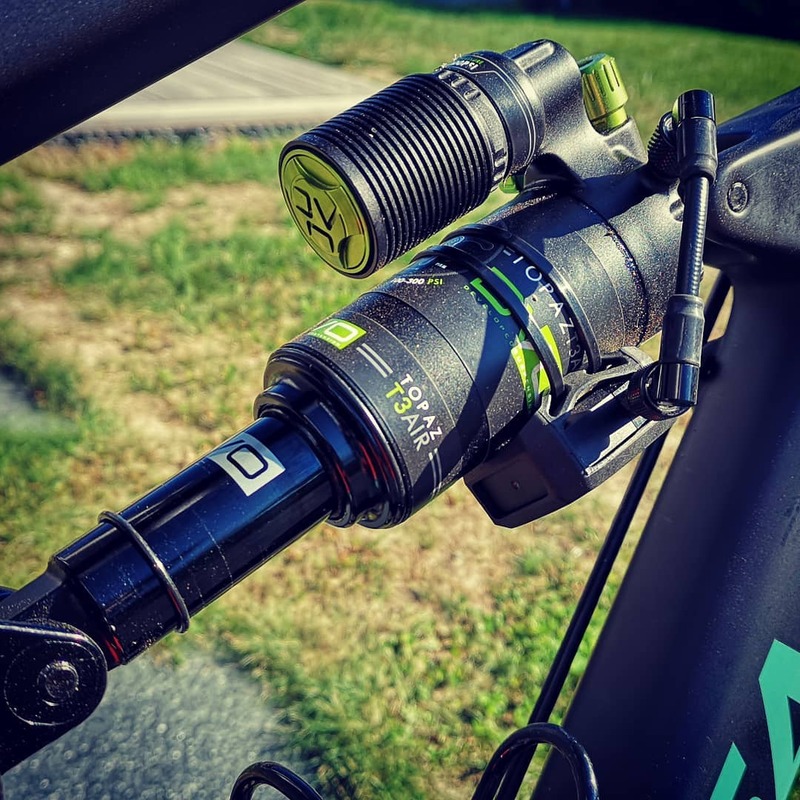 Additionally, some shocks, like Cane Creek's InlineAir are currently incompatible with ShockWiz, as the supplied hose connector interferes with the air can body (one workaround is to use Topeak's PressureRite adaptor or a valve extender if you have one handy). When in doubt, contact us with your mounting questions. 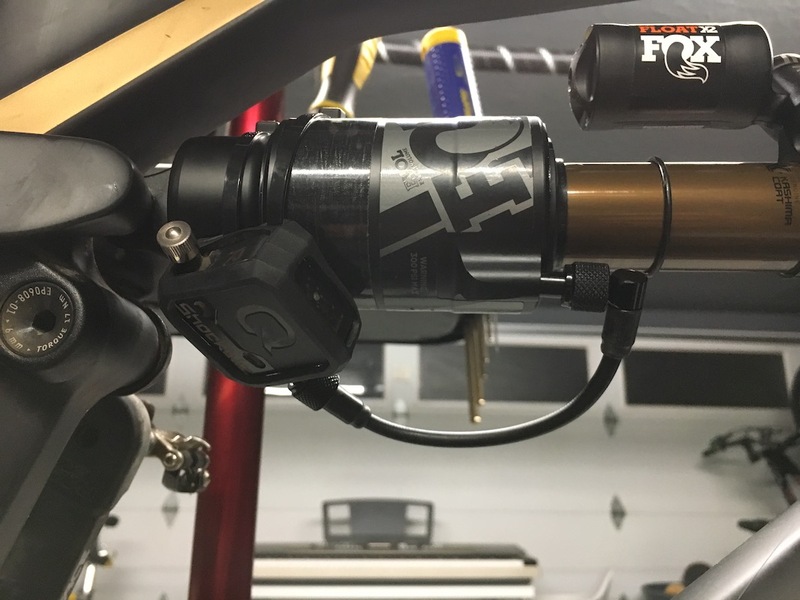 A recent upgrade to a Fox X2 presented a problematic mounting issue. The Fox X2 has an external reservoir that overlaps the air can when compressed. There is very little clearance between the reservoir body and the air can. The clearance is so tight that the reservoir will interfere with the zip ties used to mount ShockWiz to the air can! The solution in this case was to rotate the air can 180-degress, use the longer hose, and mount ShockWiz towards the end of the air can so that the reservoir can fully overlap when compressed and not interfere with the zip ties. Do you have a tricky mounting situation? When in doubt, contact us with any mounting questions so we can help you determine if ShockWiz will work with your shock or frame. In some cases, you may need to use the longer hose to mount ShockWiz to the rear shock instead of the supplied shorter hose. In that case, you will need to request it before we ship the units out to you. Check out Google Image Search for more ShockWiz mounting ideas and tips! Just keep in mind that not all mounting shown solutions are good ones!